The Third Annual installment of the Appaloosa Festival gets underway Friday and Saturday, Sept. 1-2, 2017. The fest hosted by D.C. based Celtic rock band Scythian promises again this year to be an event to be remembered.The scenic Skyline Ranch Resort in Front Royal, Virginia is once again the location for the festival. It’s just one hour from DC. and located just a few miles from the main entrance to the Shenandoah National Park. Just a few of the featured acts this year will be crowd pleasing sets from such acts as Eddie from Ohio, Frank Solivan & Dirty Kitchen, and Humming House. 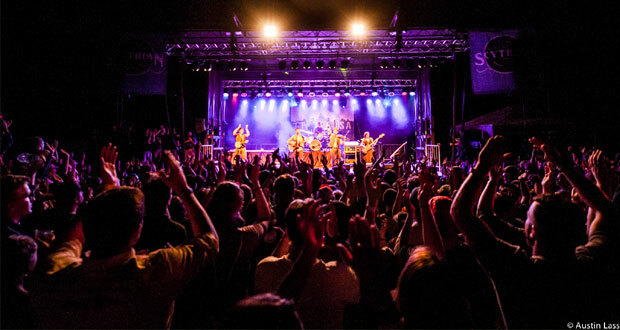 In 2016 the festival drew nearly 6,000 people from across the country with renowned DC music venue, the Hamilton, as their main stage sponsor. More than 20 bands will appear on three stages over the two days along with free music workshops throughout the weekend and exclusive late night music jams with the Headliners. There’s on-site camping, cabins, local food and craft vendors, a Kids Zone, and a beer garden too. For more information or tickets visit the festival web site at www.AppaloosaFestival.com, or call 703.599.8085.